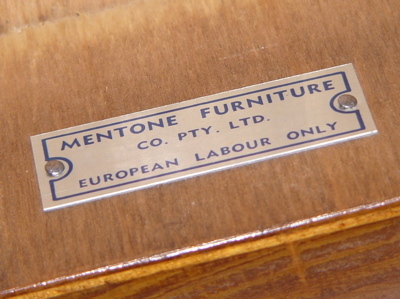 There was a time when every piece of furniture in Western Australia had a racist stamp on it. Every. Single. Piece. From 1900 to the 1960s all furniture had to declare whether it had been made purely by good honest white workers, or had been sullied by being touched by people from South East Asia. Seriously. It was either stamped ‘European labour only’ or ‘Asiatic labour’. Chinese craftsmen were well-known for producing quality pieces at lower prices than the white-only factories could. So the unions objected and—thank you, White Australia policy—the government passed laws to make sure buyers knew which race had produced them. Some union leaders went further and demanded furniture factories should have glass fronts so customers could check the place wasn’t secretly employing people from South East Asia. 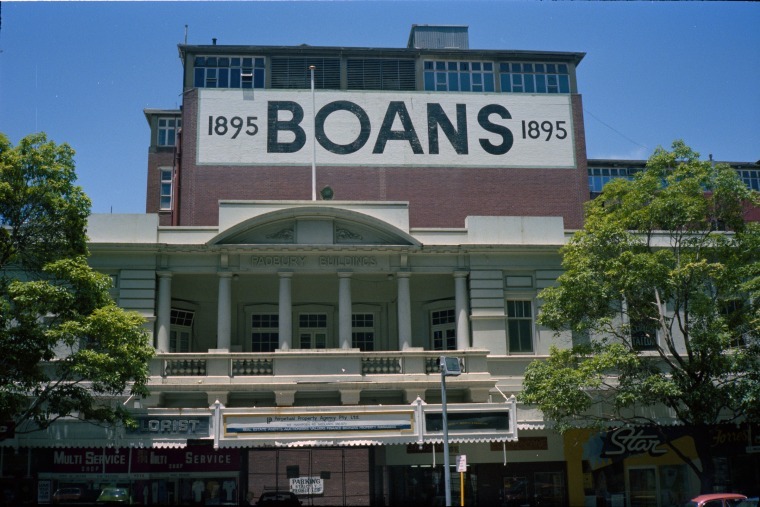 One of the worst local retailers who cashed in on the racism of their customers was Boans. They regularly advertised that they would only make and sell furniture without Asian employees. Which, in Boans’ opinion, meant their chairs and tables were superior. It has always been the policy of Boans to employ European labour only in their factory, which means that the highest possible workmanship is put into every piece of furniture produced. Unfortunately for bigoted retailers and manufacturers, some members of the public weirdly preferred the same items but at less cost. There’s no accounting for some people’s lack of racial pride. If you want to see a piece of racist furniture in action, visit Belmont Museum and ask to have a look under their kitchen table. It’s shocking, but definitely worth a look. Today we tell a familiar Perth story. How a potentially great space became a disaster. We’re not talking about the delightful Forrest Chase, complete with detailed precast lattice work. Good lord, no. We mean the vile Padbury and Boans buildings which were there before it. 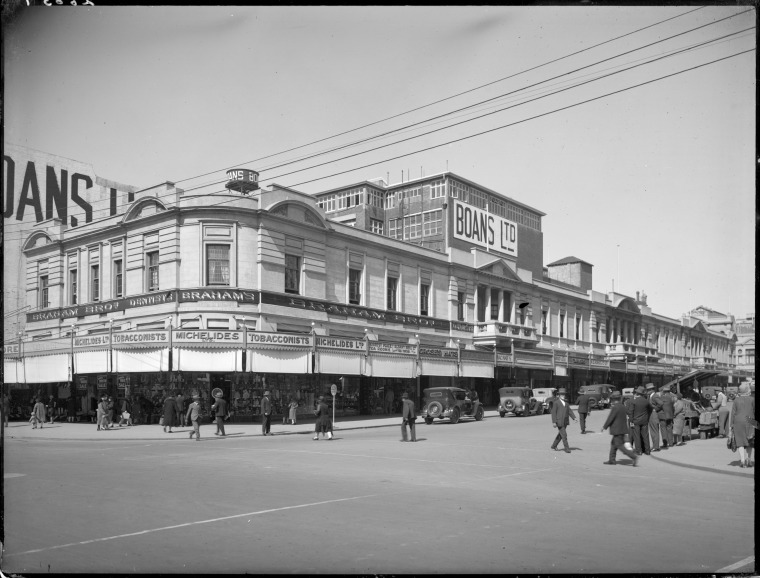 After the General Post Office was finished in 1923, it was assumed that the Federal Government would turn Forrest Place into a park for local residents. This would link the Railway Station to Murray Street for the benefit of all. A petition went to Parliament, requesting that Forrest Place be reserved only for public purposes. Instead, the Feds, determined to claw back as much money as they could after the GPO project, gave a fifty year lease to William Padbury to build a shopping centre opposite. Naturally, there was outrage that the “people’s heritage” was to be converted to “brick and stone” simply for the purpose of making a quick buck. That’s right. To build Padbury’s involved a loss of our heritage. 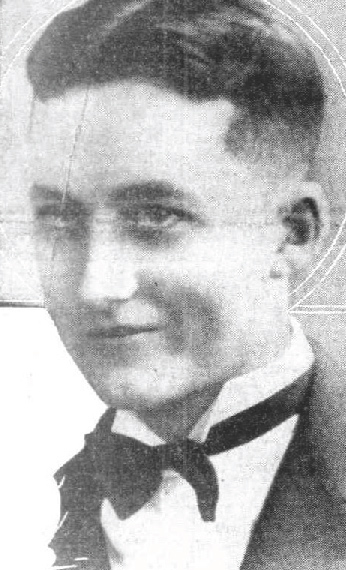 William Padbury was already a rich man, it was pointed out. Could he not work for the public interest and build his hideous shops somewhere else? Padbury did not see it that way and commenced construction. This is what William Padbury promised to build. In a story headed ‘Beauty and the Beast, or How Not to Build a City’, it was noted that Padbury’s would make Forrest Place too narrow. In any case, there were already too many “tawdry structures”, such as the Central Hotel next to the GPO. Padbury’s would just be one more. But there was a way of saving the situation. 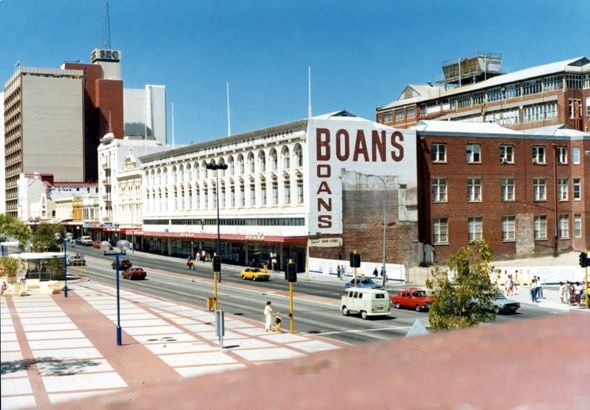 One problem with Forrest Place was Boan’s unsightly wall. If Padbury’s had to go ahead, a five-storey building could work in this space, and justify the loss of public space. However, William Padbury, like any good capitalist, was not going to spend more money than necessary. Since the Feds were in control of the land, not the City of Perth, a cheap two-storey building was erected. Padbury vaguely promised to put up another three storeys in the future, but no one really believed him. Any two-storey building must be in proportion to its street frontage. Padbury’s, at several hundred feet, was far too wide to have any aesthetic balance. In any case, Boan’s dominated above the low parapets, ruining both Forrest Place and any pretence to architecture Padbury’s might have claimed. Forrest Place was a tragedy because the Feds simply wanted money. 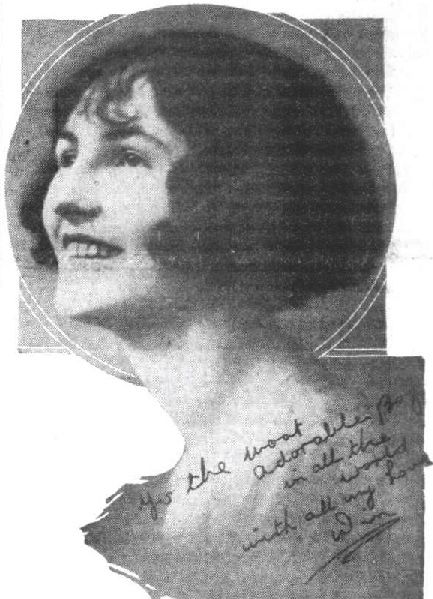 Padbury simply wanted money. And Boan’s was a hideous piece of architecture to begin. Now tell us you still hate Forrest Chase.